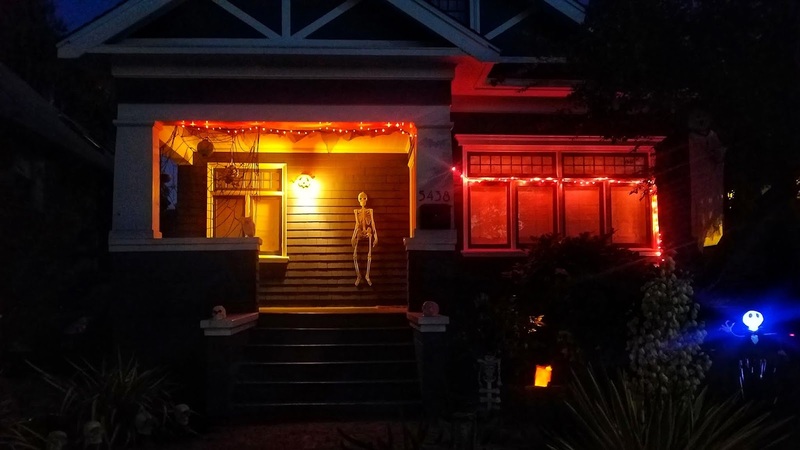 Halloween is full on right now as I am working on this post. It has been a full-day affair. As always Halloween has been super-fun. Not just the actual day but the days leading up to it. I enjoyed taking the decorations that I have collected over the years out of the box. 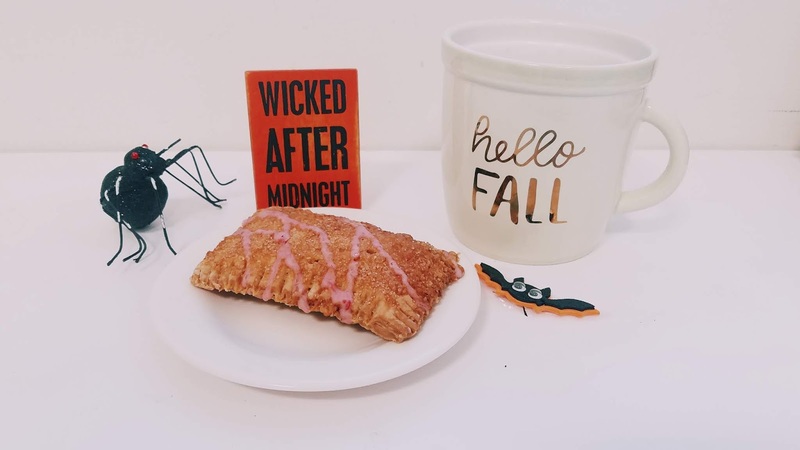 Many has become part of Halloween memories and has its own story such as this "Wicked After Midnight" sign. I purchased it this year at a boutique in New Orleans. It brings me back to that moment of solo travel last June. 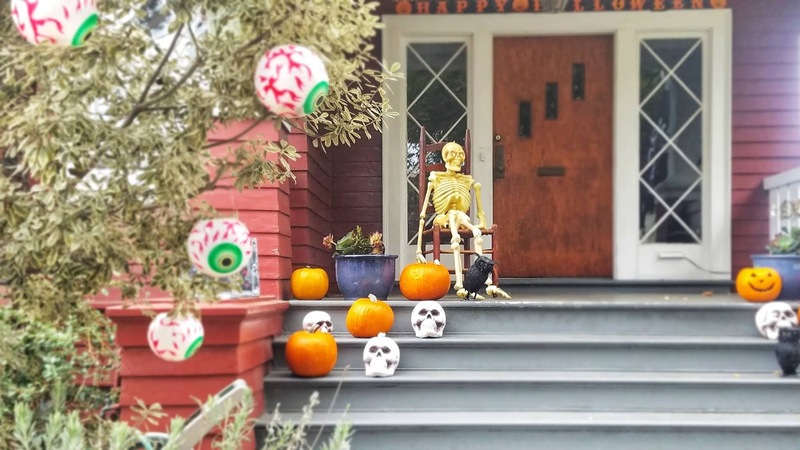 The skeleton was made by Nick and I have been putting it out every Halloween since he made it years ago at an art class. Mr Sweetie and I got the skull from our trip to Mexico a couple of years ago. One of the things I really look forward to during fall and Halloween is my walk to the train station. 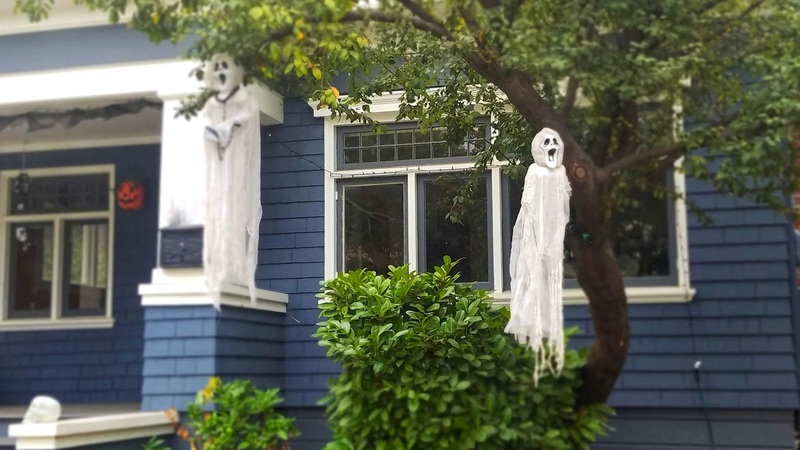 The houses in the neighborhood come alive with cute and spooky decors most especially at night. I love seeing the pumpkins on the patio and walking on crunching leaves on the ground. Halloween and fall are so much fun because BFF and I equally enjoy this season. We find little joys and share them with each other such as our love for anything pumpkin, sweater weather, baked goods, etc. We got to see each other twice before Halloween and we gave each other Halloween treats. As always she spoils me. 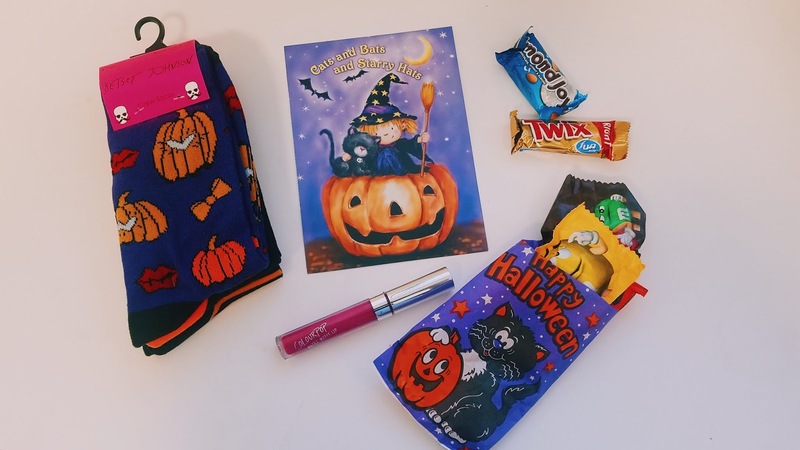 I found these really cool goodies in my trick or treat bag -- Colorpop lipgloss, Halloween socks and chocolates. She also brought me a pumpkin cruffin from Mr. Holmes Bakeshop which is one of the famous bakeshops in San Francisco. Delicious! I am so blessed to have her as my BFF! It is now past 9:00 pm. We got less than 10 trick or treaters. We do not get a lot where we live. Some years we get more than others. I think last year we had close to 30. I still have lots of candies, just in case. I made beef stew for Mr Sweetie while I was tired from work and did not even want to eat. I snacked on tea, kettle corn, hummus and crackers. Mr Sweetie recorded the Halloween special of Raven's World for me since he knows that I love kids' show most especially around the holidays. We watched it as well as Adam's Family, snippets of Freddy and Jason, and a little bit of Hocus Pocus before turning in. Summing it up, Halloween this year was fun as always. The weather was neither hot nor cold. It was on the chilly side but not really sweater weather yet. Work did not disappoint as always. As soon as I walked into my suite my work friends were decked out in full costume. A trio dressed up as CS Lewis' Narnia. One was dressed as a lion, the other one dressed up as a closet (very creative) and one was an ice princess. 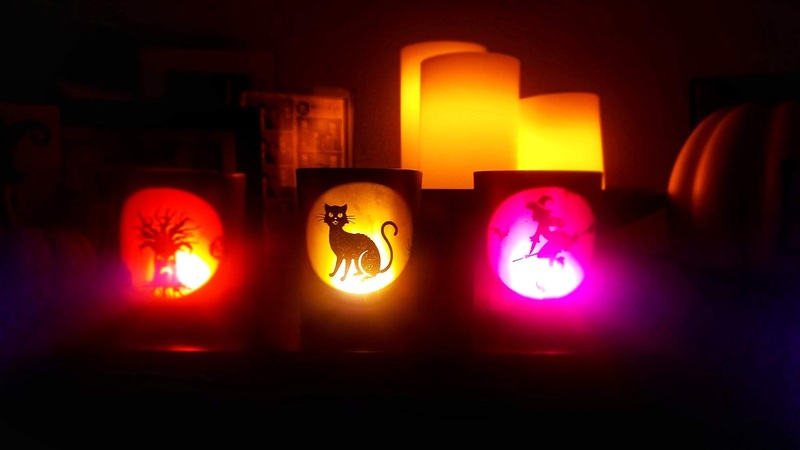 We had a unicorn and Hocus Pocus witches. 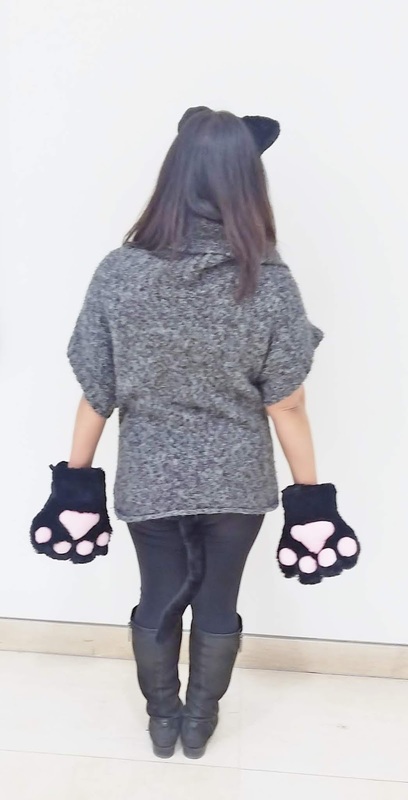 I was a kitty cat as always with my pink paws, ears and tail. I had fun meowing at people although I had to take them off when I had to do a training this afternoon. I do not think that I would have been taken seriously as a cat. This concludes my Halloween 2018. I am still very excited about the coziness of fall. Thanksgiving next!